The transmission in your car might be a like a foreign language to you, but it’s a second language to us. The word transmission tends to scare individuals away; rightfully so, because if there is a problem with your transmission, your car most likely will not get you from point A to point B, like in the past. Because of this, our German auto repair experts have put a lot of time and effort into learning how transmissions for your specific make and model car really work. How Do You Know Your Transmission Has a Problem? If your automatic transmission is slipping, you’ll experience the gears changing for no apparent reason. You may also hear this happen; the engine may give off a sound like whining, or you may notice a change in pitch overall. The gears may slip for no apparent reason at all. 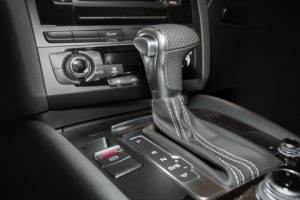 Whether you drive an automatic or a manual, you car should never give you a rough time shifting. During some shifts, you may be able to hear a noise that sounds like a “thud” or “clunk.” And, make sure you take note of how difficult it has been to reach the speed you desire, because if you’re having trouble shifting, your car will most likely lack reaching speeds you want quickly. Is there a long pause when you shift from Park to Drive? If so, your transmission is most likely having issues. A delay in engagement from shifting from Park to Drive shouldn’t happen if the car has a healthy transmission. If there’s a problem, you’ll notice a long pause when the shifting takes place, as well as revving in the engine when you give it gas to move; however, there will be no movement. Transmission are tightly sealed, which means there should never be a leak. So, if you’re noticing that there is liquid on the floor of your garage after you back out, be sure you take proper precautions. Go ahead and lay a piece of cardboard under your car at night and be sure you check to make sure the leak is still active in the morning. If so, make an appointment with the transmission repair specialists here in Denver, because this could mean you need immediate transmission help! Transmission fluid is bright red, but if it is leaking, the color could also look dark red or have a brown tint. Be aware of the Transmission Warning Light on your dashboard. 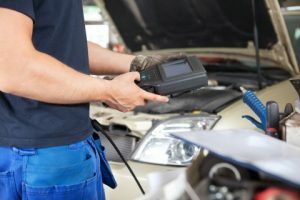 Although it may not reveal an issue, if it is on, you should have a diagnostics test completed to learn what the issue is. You don’t want to have a minor problem to turn into a major one. So, if you have an illuminated warning light, make sure you have it diagnosed by the professionals here at Avalon Motorsports in Denver. Transmission issues can be pricey if you don’t catch them in the beginning stages, so be sure you reach out for help when you notice a problem. Contact the leading German automotive transmission repair specialists at Avalon Motorsports immediately if you notice any signs your transmission is experiencing an issue. If you have any questions or concerns regarding your car’s transmission, please don’t hesitate to give us a call or set up an appointment. We’re happy to help!